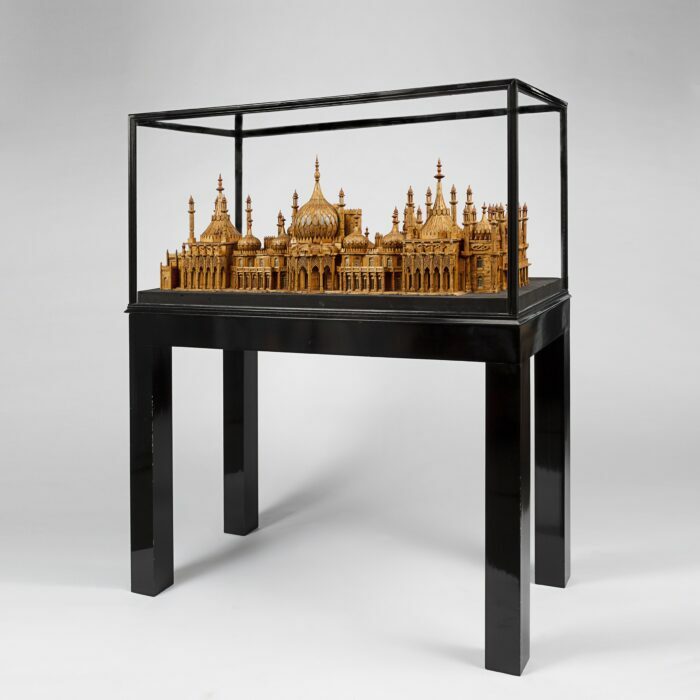 Made in the 1960s from over 40,000 matchsticks by Bernard Martell. 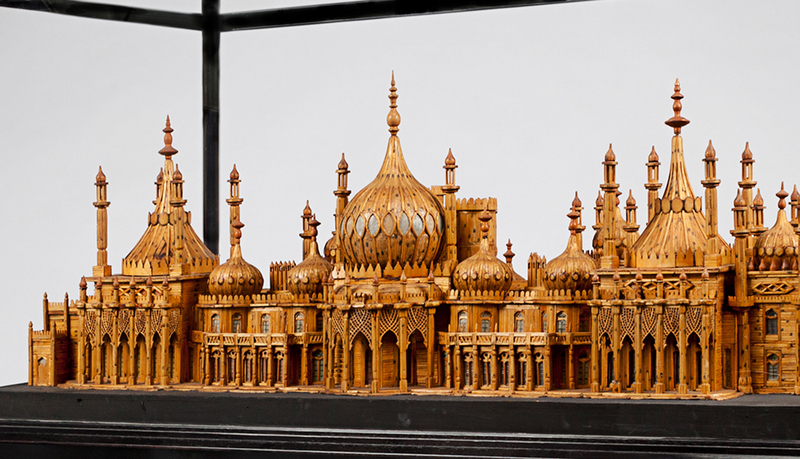 The artist spent over 1700 hours meticulously reproducing the architectural splendor of the Brighton Royal Pavilion in a 1:100 scale model. 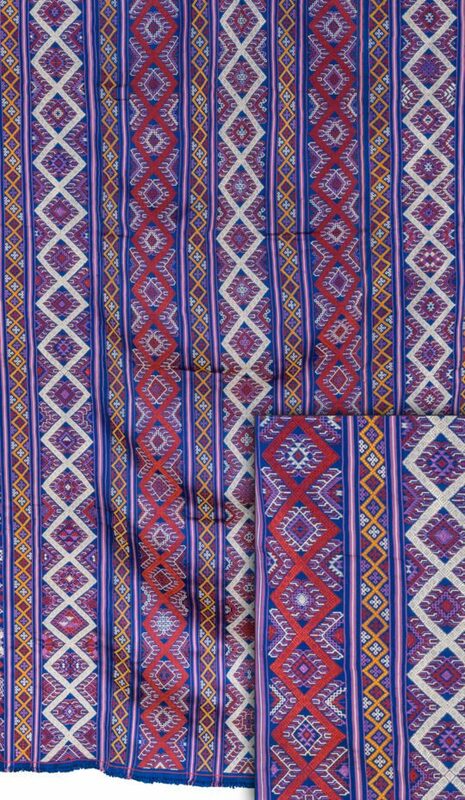 It was first exhibited at Marlborough House and then for many years alongside the Pavilion, in the town of Brighton, England. The Royal Pavilion was built as seaside palace for King George IV by the architect John Nash in the Anglo-Raj style, very much in vogue in the English Regency period with its domes, minarets and intricate embellishments, inspired by the architecture in Colonial India. The building with its lavishly decorated interiors was finally completed in 1823 and remains very much intact to this day due to ongoing important preservation work. This unique architectural model is presented in a custom made glass case and mounted on a black lacquered Parsons table.